We are accepting applications for positions for summer and the 2019-20 school year. To apply online, please click the button below. You will be transferred to a third-party location and asked to create a new account. Please create your account and then complete the online application. Current employees: please send a letter of interest, along with your resume to: Tneuman@bgcmn.org. Enjoy making a child’s day. A passion for working with kids is always rewarded at the Boys & Girls Club. Enjoy our fun and friendly work environment. Get paid to play every day! For an at-a-glance view of job opportunities and volunteer positions available, please click here. Please give detailed information regarding your Mon – Fri availability. Please note: We are grateful for your interest in working for the Boys & Girls Club! However, due to the volume of applications and calls received, we may not be able to respond to every inquiry. Applicants interested in positions posted by the Boys & Girls Club should complete the online application and/or submit a cover letter (please include salary requirements) and a resume. Are you eligible for work study through your college? If so, talk to your financial aid/scholarship officer about applying for work study with the Boys & Girls Club or KIDSTOP program. 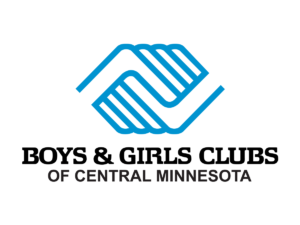 Boys & Girls Clubs of Central Minnesota is an equal opportunity employer/provider. Interested in an internship? See all internship opportunities.